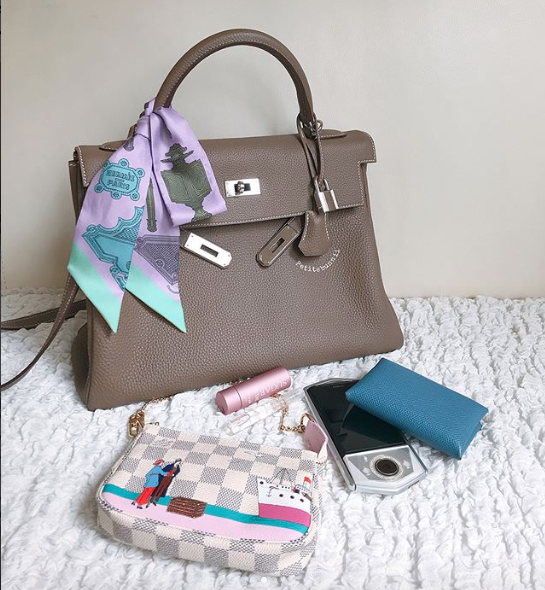 The Hermes Twilly is an indispensable accessory for all Hermes lovers. The natural oils of your bag, mixed with lotions/perfumes and dirt you are bound to pick up once you leave your house, can leave your Hermes bag handles looking less than perfect after some wear. Twillys are a great way to not just protect your bags handles, but also showcase your personality and style. With countless beautiful designs, there’s bound to be one (or two, or hundreds!) that speak to you. Hermes Twillys were first introduced in the late 1930s and have been produced in countless designs ever since. Measuring 31×2 inches, Twillys are made of silk, a luxurious fabric that stays cool even in the warmest of months, so if you have a Twilly around your bag’s handles, your hand will be nice and cool. They get their name from the word “Twill,” which is a weaving technique utilized for soft and draping fabrics. This depends entirely on you, Some women only “dress up” their bags with a Twilly on special occasions, while others wouldn’t dare carry their bag without a layer of protection between their hands and their handles. Some pick Twillys in similar colors to their bags, while others prefer highly contrasting styles to make their Twilly stand out. There are as many ways to tie your Twilly as there are Twilly designs. See some ideas below. It's the season for #Craie! Shop our Hermès Kelly 28cm in epsom leather now! A foolproof way to tie your Twilly is by tying a knot on one end, twisting the silk all around the handle and knotting on the other side. Leaving the ends hanging instead of tucking them in gives this style an extra flair. If you’re feeling more romantic, fold your Twilly in half on one end of the handles, criss-cross it around the handle and tie it on the other end with a small bow. Looking to add a pop of color to a neutral bag? Tie your twilly in a bow one side of the handles. Not carrying an Hermes bag with stiff handles? Not a problem! Get creative when accessorizing your handbag! Our Monday favorite is this #Hèrmes Black Lindy 30cm! The Lindy first appeared in the Spring 2007 and was an immediate success. Its shoulder strap and roomy interior has made it a favorite bag for young executives and young mothers. The Lindy comes in classic colors like Black, Etoupe and Orange H, as well as the colors of the season. It is typically offered in Clemence and other leathers, but can also be found in exotic skins. Don’t feel like you have to limit yourself to one accessory. 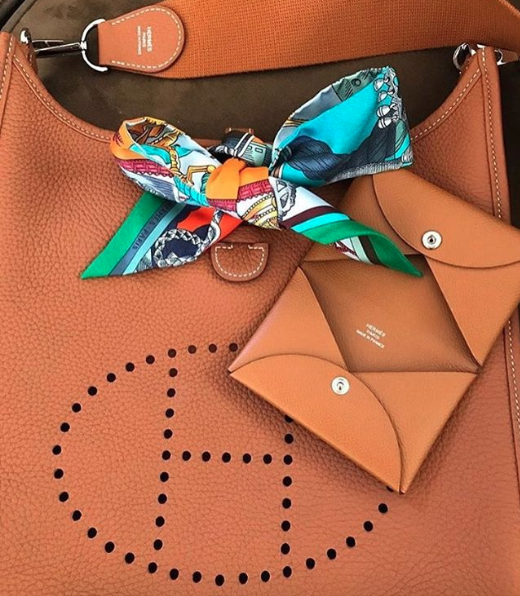 Pair your Twilly with other Hermes charms; one can never have too much Hermes! The #TwillyScarf is one of our favorite accessories! 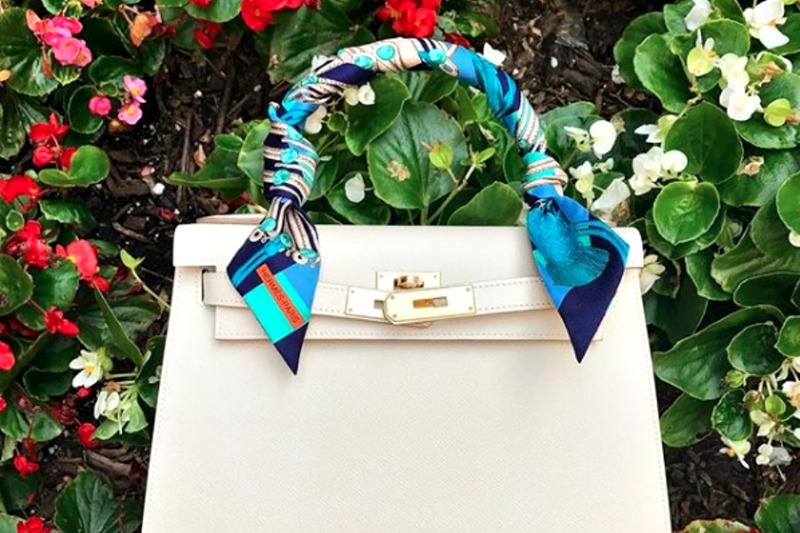 Not just for the handles of your #Birkin or #Kelly, you can wear this versatile scarf around your neck, as a headband or bracelet (featured here). Shop our Twilly scarves now! Link in bio! Don’t think you have to limit your Twilly use to your bags- Twillys are the quintessential multi-use accessory! You can use it as a headscarf, choker, bracelet, or even in other non-Hermes bags! When not in use, store your Hermes Twilly flat and untied. Try to keep it away from water, as the colors might bleed and always take it to a silk professional to be cleaned. The Twilly is such an iconic Hermes accessory that the French maison released a floral perfume in 2017 called Twilly d’Hermès. 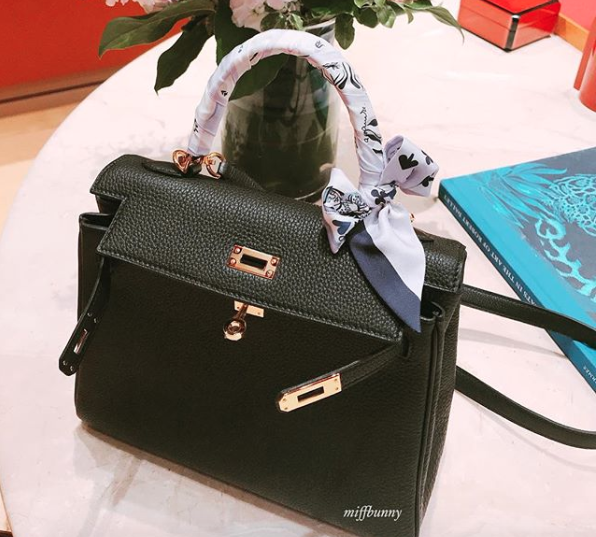 Looking for Hermes Twillys and scarves? 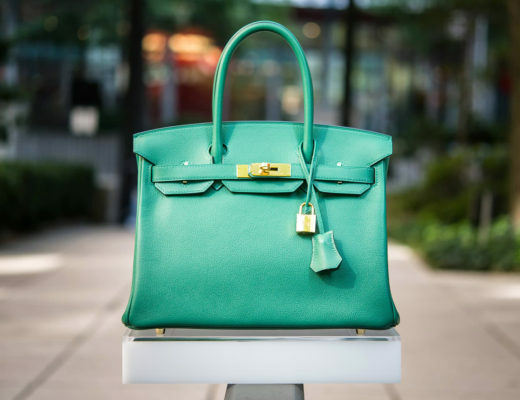 Look no further than Madison Avenue Couture, your curated destination for authentic Hermès handbags and accessories.